Choosing holiday pump for pumping water: what kind of equipment better buy? The owners of summer cottages are often faced withproblem pumping dirty water. Clear the well of sand and clay and remove dirty water from the ornamental pond - with any of these problems help to cope pumps for pumping water. 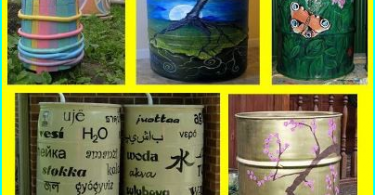 Especially valuable is the presence of such units in the economy, when flooded basements, or else there is a process of melting snow in the spring. In contrast to the manhole and downhole units for pumping water pumps capable of passing small stones, solids and fibers, making it an indispensable aid in the conduct of country economy. Surface units are designed to work with slightly contaminated water. They are able to pass solid particles whose size is less than 1 cm. 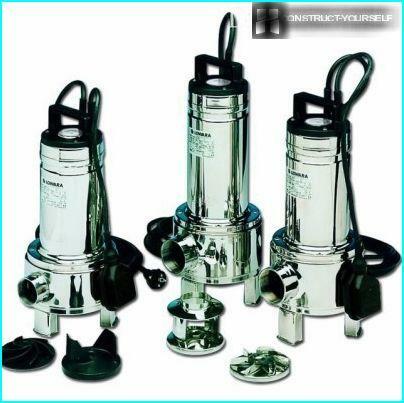 The main advantage of these pumps isease of installation and ease of use. The undeniable advantage of the surface pumps is the ability to move them around the site, cleaning the room in case of bad weather. It is very convenient, because the versatile unit can be used for different purposes. To start the pump by placing it on a level surface, lower the water intake end of the suction hose, and then connect the device to the mains. Submersible units themselves are switched off when the engine is overheated, they also have protection against electric shock, and therefore does not require additional maintenance. The depth of surface suction units is limited: to work without overloading most of the models can be at a depth of about five meters. Most models of surface water pumpsfor pumping water not differ powerful punch: it is better to buy for occasional use. This unit will successfully cope with the pumping of water from the basement and garden watering is not carried out more than once a week. But in daily use it quickly fails. 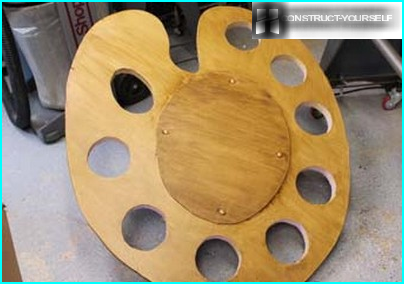 The sale can be found surface aggregatesin metal and plastic casings. Metal, though buzzing during operation, but are not afraid to shock and have a long service life. Plastic also are much cheaper and are much quieter, but still not strong enough. Council. To reduce the level of "growl" of the pump during the pumping out of water, you need to put it on a rubber mat, which will suppress the vibration. Since the process water pumping unitplaced on the street, pumping out water at a temperature below zero, there is a risk of freezing of the system. 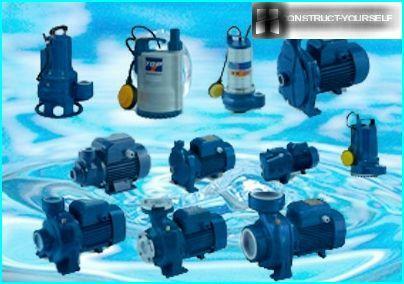 Therefore, in the cold season is better to have a surface pump in a closed room or carefully harbor. In contrast, surface pumps, submersible units have a higher capacity, which significantly expands the scope of their application. High-power devices can be pumped muchContaminated water in the composition which contains coarse particles with a diameter of 1 to 5 cm. wide equipped devices working chambers through which contaminated waste water with the particles freely pumped without clogging the system itself. Depending on performance and capacityinstrument distinguished domestic and industrial pumps. For suburban use quite suitable household pumps for pumping water. Such aggregates, grinding sludge and plankton pond, vegetable beds will provide additional natural fertilizer. Wanting to buy a universal water pump,who successfully cope with domestic sewage and dirty water, should give preference to sewage pumps. Their main purpose - pumping contaminated water, within which there are solid wastes and long fiber. A distinctive feature of these units from theimmersion systems is the presence of a shredder that is able to grind the first elements of all solid into smaller particles and only then send them to the system for further pumping. In the manufacture of sewage pumps are usedhigh-strength materials, with high resistance to aggressive environments, which is not afraid of chemical decomposition reaction. The service life of these units for over 10 years. Scope of the pump. Choosing the pump must start from the fact,what functions it will perform. 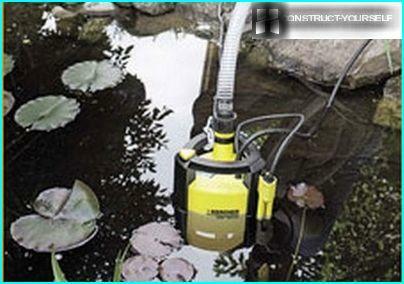 When planning to use the unit only as necessary to clean flooded areas or watering the garden from a nearby reservoir, enough to buy a pump with a capacity of 120 liters per minute. 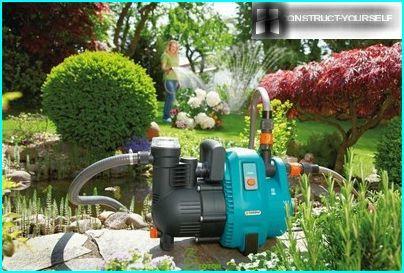 If the pump will be installed in the drainage system, it is better to buy a more powerful machine. pump price depends primarily on the head - the ability to push water to a certain height, and productivity - the amount of the fluid per minute. The location of the suction valve. 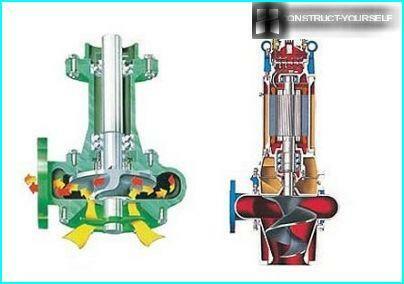 Assemblies, the suction device whichlocated in the lower part of the body, capable of rapidly and almost completely to pump water out of the basement or the tank. But placing a machine on the bottom of the pond should be prepared for the fact that in the process of pumping, together with water and it will capture a large amount of silt. Therefore, for these purposes it is better to choose a model with the placement of the suction device in the upper part of the body or the equipment installed on a special stand. Float automatic shutdown. The presence of the float which is responsive to changes inwater level and giving the command to shut down the engine, greatly facilitates the work of the unit. The automatic system can prevent engine overheating in the event that all of the water after evacuation pump will run "dry". Slipping off a little more at the pump, equipped with automatic control system, the owner will not have to waste time while working near the unit, pending completion of the process. Since the pump for pumping water mainly willto work in a hostile environment, the choice of the model should pay attention to the construction of the body material and the basic details. The greatest resistance to external influences are cast iron, stainless steel or plastic. Particular attention should be paid to the maximum allowable content of impurities and particles in which the unit will operate without failure. It is very convenient if the model provides self-cleaning chopper, which significantly extends the operating life. Among foreign manufacturers of household pumpsthe most popular are: Grundfos, Nocchi, Pedrollo. The main advantages of their units is ease of use, small size, and excellent value for money.